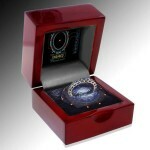 What do you do when you are a big Star Trek fan and are in love with another huge Star Trek fan? 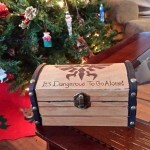 You tell them to Engage! 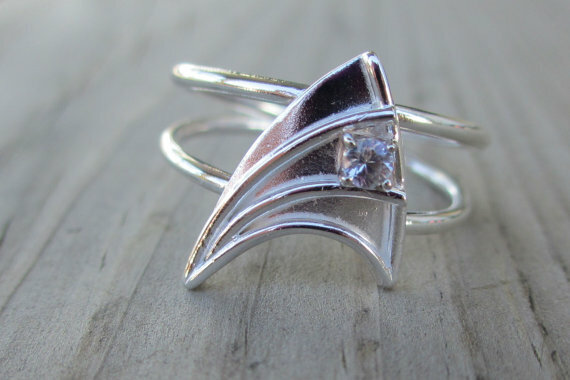 A while back I posted a TARDIS engagement ring for all of the Doctor Who fans out there and this is the perfect engagement ring for Star Trek fans! 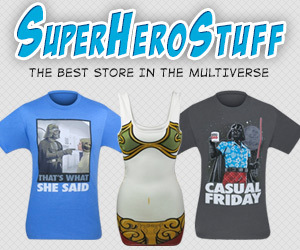 The best part is that it can be yours (or whoever you are getting engaged to)! 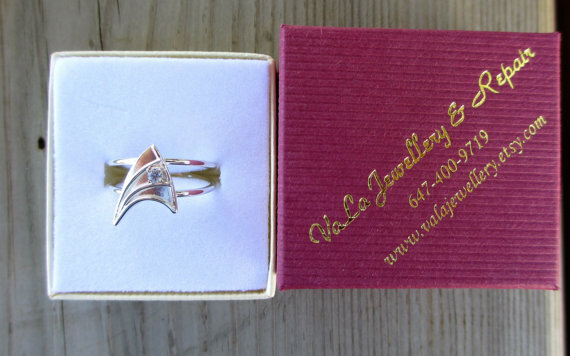 Etsy seller VaLaJewellery is selling this awesome engagement ring with the Star Trek Starfleet insignia for $500. 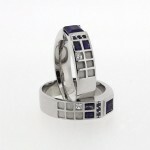 This Star Trek engagement ring features a 3mm white sapphire set in 14K white gold (yellow gold also available). 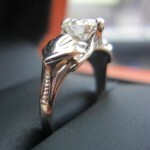 These are made to order and take 4-7 days to make which is something to keep in mind if you are getting ready to ask that special somebody to marry you. 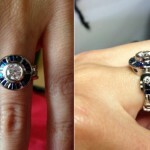 If you get one of these and ask that special somebody to marry you, share some pictures with us!